I think I’m finally getting the hang of this texture thing. It can get addictive downloading free textures, but I need to stop or I’ll get so overwhelmed I won’t do anything. The possibilities are literally endless if you have too many of them. The glass is looking kind of pretty in this, I think. 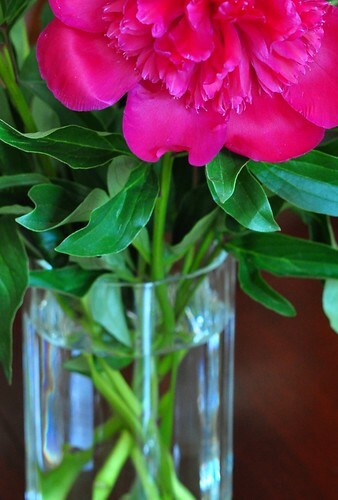 It’s a very simple, but lovely vase from my mom. I need to get out and take some photos…have been doing so much experimenting and reading tutorials lately, I haven’t been shooting much. The weather has also been ghastly. It’s a bit early for dog days, but we’re in them, alas. 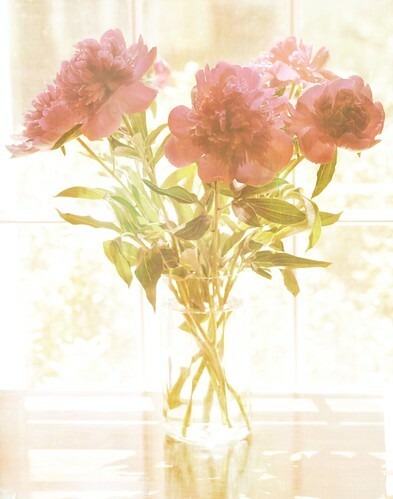 This entry was posted in flowers, photography and tagged glass vase, peonies, textures, window. Bookmark the permalink.